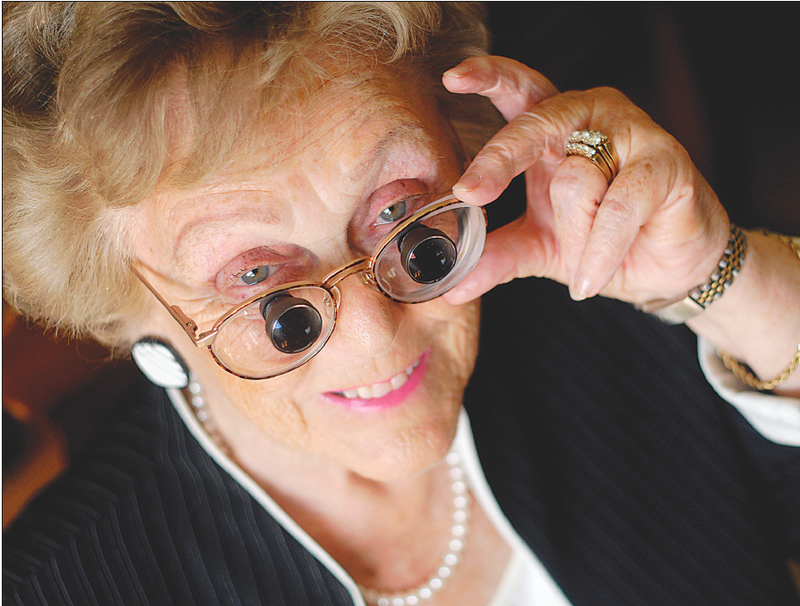 Macular Degeneration is the most common eye disease amongst the senior population. As many as 25% of those over 65 have some degree of degeneration. The macula is one small part of the entire retina, but it is the most sensitive and gives us sharp images. When it degenerates macular degeneration leaves a blind spot right in the center of vision making it impossible to recognize faces, read a book, or pass the driver’s vision test. The experts do not know what causes macular degeneration. But it is known that UV light from the sun is a major contributing factor. Other factors are smoking, aging of course, and improper nutrition. Fifteen to 20% of the time it is genetic. There are two types, wet and dry. The wet type involves leaky blood vessels and can be lasered shut. Unfortunately, it’s a temporary fix since other leaks usually occur.“Our job is to figure out everything and anything possible to keep a person functioning,” says Dr. Cusic. Washington and Oregon are among many states that allow the use of telescopic glasses to help meet the vision requirements for driving. Donald Paguette, 72, a former county assessor from Anaheim, California was seen last November. “I could not read my Carol Buckles with bioptic telescopes saxophone music anymore,” he said. The doctor fit him with bioptic telescope glasses. “Amazing!” says Donald, “I can read the street signs twice as far as I did before. I can play my sax again. Happy day!” Dr. Cusic also provides special prismatic reading glasses to make the newspaper a little easier to read. 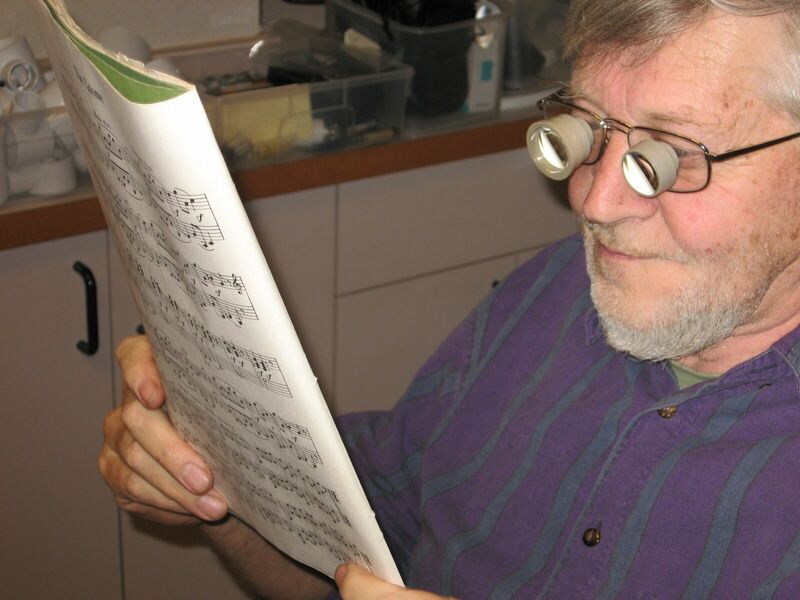 Peter Rhodes traveled from Manchester, UK to be fit for special amorphic glasses for Retinitis Pigmentosa; he is one of the first patients in the United States or the UK to be helped with this rare eye disorder. 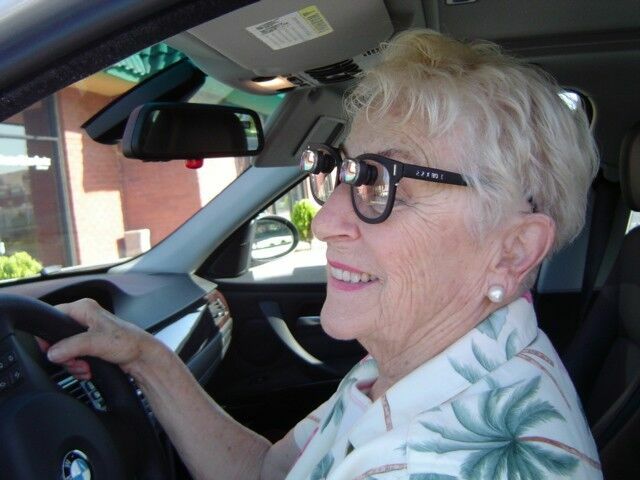 Ellen Imboden traveled from Sweden and was helped with two pairs of glasses: Special $475 prismatic glasses that let her read newsprint, as well as bioptic telescopes to continue driving in Sweden. Read about haow someone Legally Blind Drives Again. Low vision devices are not always expensive. Some reading glasses cost as little as $375 and some magnifiers under $100. Every case is different because people have different levels of vision and different desires. Dr. Cusic sees patients in his office in Kirkland, providing low vision care for the greater Seattle WA area.